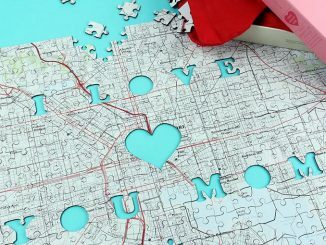 Give your dad a totally unique Father’s Day gift, with a Personalized I Love You Dad Map Puzzle. 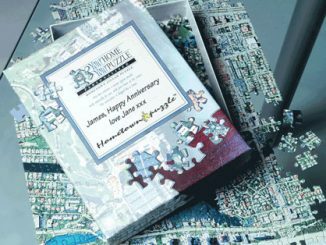 You give the location you want, such as your dad’s hometown, and they take the US Geological Survey mapping of the area and turn it into a high quality 400 piece jigsaw puzzle. 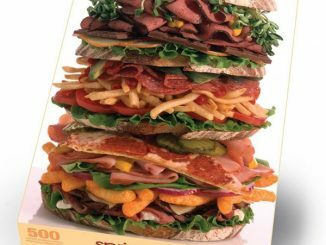 Once it’s put together, it says the words “I Love You Dad” and has various icons of things most dads like, such as cars, tools, and golf clubs. 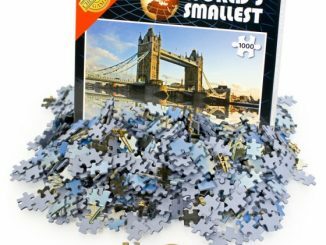 Because you provide the location for the map, each puzzle is individually made to order. 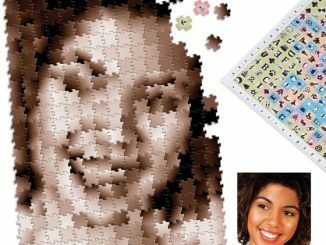 The puzzles are high quality, using 1.5mm millboard and hand finished by expert craftsmen. 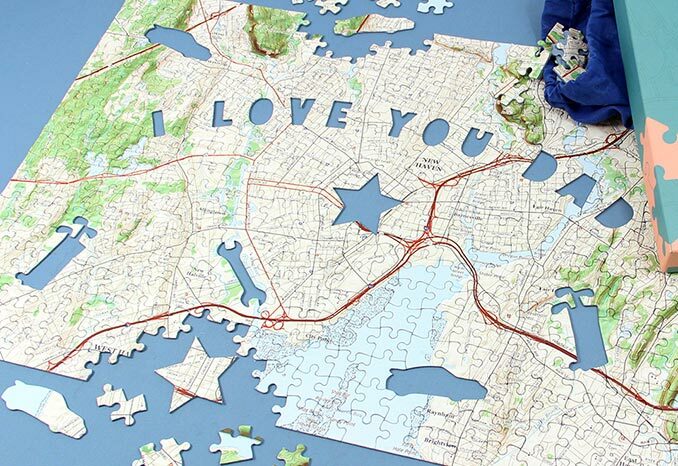 Once assembled, this I Love You Dad map puzzle meachers 12.25 x 18.5 inches. It comes nicely packaged in a blue cotton bag with an attractive presentation box that even includes a spot to write a personal message. That’s right, no need to spend extra on a card! 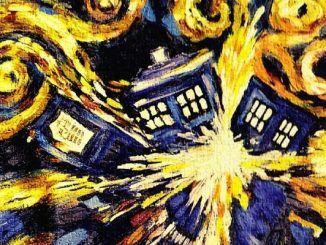 If this looks familiar, it’s because there is also an I Love Mom Map Puzzle that Geek Alerts covered before Mother’s Day. 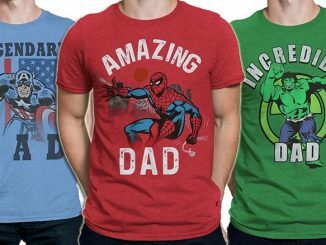 Treat your Dad to a gift he’ll remember and treasure. 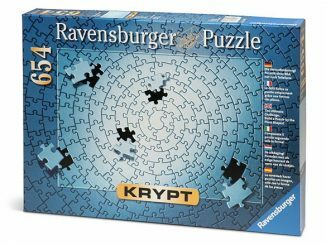 Surprise him with this unusual and challenging puzzle and he’ll be delighted to discover that special place exactly in the center! 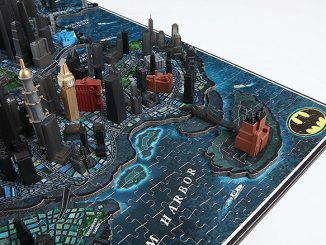 Let him have hours of fun testing his local hometown knowledge as he pieces the puzzle together. Maybe he’ll let you join in! 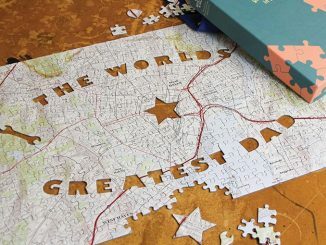 And when it’s built it will reveal that all important message ‘I Love You, Dad’.Using the US Geological Survey mapping, digitally seamlessly stitched together, a high-quality jigsaw puzzle can be created centered on the exact address supplied. The map covers an area 6 miles East-to-West and 4 miles North-to-South and is made of up to 400 pieces. 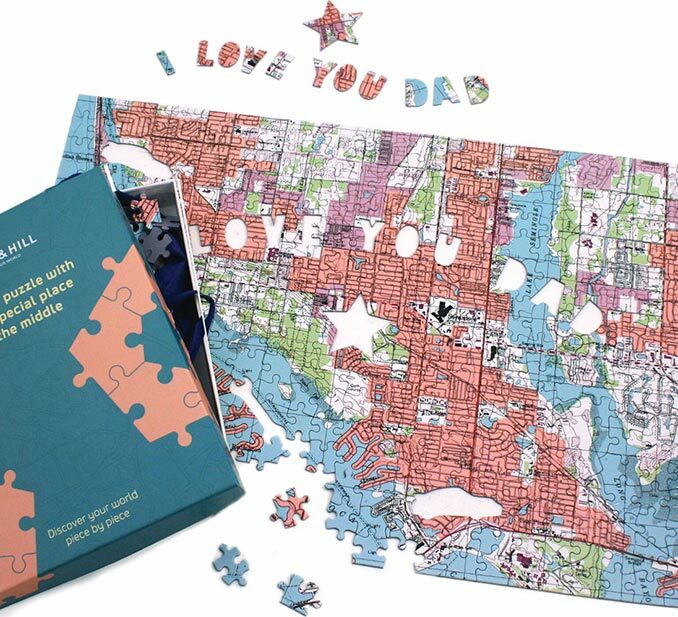 This I Love You Dad Hometown Puzzle is $39.95 at What on Earth. It is also available at Sharper Image and Personalization Universe. 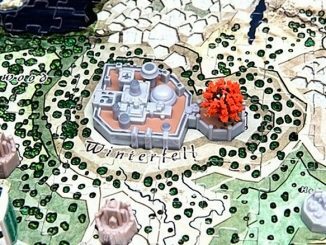 Also consider the similar, World’s Greatest Dad Map Puzzle.